Most inexpensive hand-held multimeters have measurement ranges from several amps to single-digit milliamps. While generally handy, such meters are insufficient for sensitive current measurements. There is a solution though. With the following project, you can extend the current measurement range from milliamps down into the nanoamp and picoamp range with simple, low-cost circuits. Most inexpensive hand-held multimeters have current measurement capability. The measurement range for these meters extends from several amps down to single-digit milliamps and sometimes into the microamp range. While this measurement capability is sufficient for many applications, there are times when more sensitive current measurement is required. There are meters available which measure much lower levels of current, but these meters are also more expensive and are often dedicated to just this one measurement function. The goal of this article is to extend the basic hand-held current measurement range from milliamps down into the nanoamp and picoamp range with relatively simple, low-cost circuits. First, I’ll describe several types of current sources with their relevant performance characteristics that affect measurement circuits. Then, I’ll present practical circuits that deliver high performance at low cost. Each of these circuits will be analyzed to determine what level of measurement performance can be expected. General design issues common to all of the circuit techniques will also be discussed and recommended circuit component and layout techniques will be provided. Finally, two of the circuits will be discussed that were built and tested to demonstrate the desired goal of measuring nanoamp and picoamp currents. Figure 1 shows several types of current sources. Figure 1a is the symbol of what electrical engineers call an ideal current source. It can have any level of current at the output and the output impedance is infinite. The result is that the output current is not affected at all by the characteristics of the measurement circuit. Of course no actual current source is ideal, but this is still a useful concept for approximating actual circuits and is used as a source in circuit simulation programs such as PSPICE. Figure 1b shows a current source which uses semiconductor transistors (either bipolar or FET). In this circuit, the output impedance is not infinite but can still be quite high (megohms). This means that varying voltages at the collector of the bipolar transistor or drain of the FET transistor have little effect on the output current as long as the voltage is not large enough to affect transistor operation. Figure 1c is the least ideal of the current sources. The current is generated by the voltage difference across the resistor R2. Any measurement voltage developed by the measurement circuit directly affects the voltage difference across the source resistor. This changes the current that is measured which can result in measurement error. Having said that, Keithley Instruments in Low Level Measurements Handbook (6th edition, page 2-20) uses this current source model in defining what they call the feedback ammeter (also transimpedance amplifier). It may well be that, in real-world circuits, this model is the one that describes the majority of practical applications. Although the current sources just described are not part of the measurement circuit itself, it is helpful to understand their limitations so that the measurement circuits can be designed to disturb the current source as little as possible. In this way, measurement error is minimized. In the past, current was measured directly with a moving coil meter. Now using semiconductor technology, voltage is the parameter that is measured directly. The current to be measured is first converted to a voltage by flowing through a load resistor. The resultant voltage is then measured and along with the load resistor is used to calculate the input current. Figure 2 and Figure 3 show several circuit techniques which are used to convert current to a voltage. Figure 2 shows the basic techniques, while Figure 3 shows modifications to two of these basic circuits, which give more accurate results and extend the measurement range. The symbol for the input current used in these circuits is the same as the symbol for the ideal current source used in Figure 1; but in this case, it is used to show where the input current connects to the measurement circuit and can represent any of the described current sources. Figure 2a is the least complicated of the measurement circuits. In this circuit, the current source is connected to one end of the load resistor R1 and the other end of the resistor is connected to ground or some other reference point. The voltage developed across this resistor is measured with the voltmeter and used to calculate the input current. This circuit is very simple and is often used on the spot with an available resistor for quick measurements at the workbench or in the field. The voltage that is developed across the load resistor is called the burden voltage. For a current source that is nearly ideal (such as the transistor source), the burden voltage has relatively little effect on the current being measured unless it is large enough to change the internal working of the current source. For resistive current sources, the burden voltage can directly interact with the current source and give erroneous current readings. This occurs because the load resistor becomes part of the current generating resistance which reduces the current. To minimize this interaction, the load resistor should be much smaller that the output resistance of the current source. The corresponding burden voltage will then also be small. When a simple hand-held voltmeter is used, the measured voltage cannot be too small because these meters rarely measure below 1 mV. Thus, a compromise is needed between measurement accuracy and a low voltage burden. Most hand-held meters have a 10-MΩ input impedance on the voltage scale. The load resistor R1 will be in parallel with the meter impedance and needs to be selected appropriately to give the desired equivalent measurement resistance. An example in Table 1 shows the resistor values needed to give a measurement voltage of 50 mV for the given currents. This fairly low value of measurement voltage significantly decreases the burden voltage while at the same time providing enough voltage to give measurement accuracy on the order of 10%. When making a current measurement with the resistive circuit, it is always a good idea to try several resistors of different values to see what voltage results. 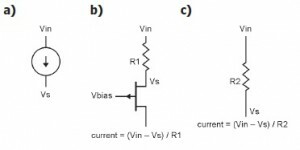 If changing resistor values by a certain amount changes the measurement voltage by the same amount, then the source current is not being affected by the measurement (burden) voltage. In this case you can use the higher value of resistance to get more output voltage and more measurement accuracy. Conversely, if the corresponding measurement voltage increases less than the amount of the resistor value change, the source current is being affected by the measurement circuit and the smaller resistor value should be used. 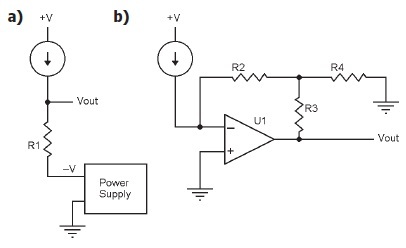 A small modification to the circuit as shown in Figure 3a gives improved performance by removing the burden voltage at the expense of adding a variable power supply. This can be particularly useful as a quick measurement tool using an available workbench power supply. The power supply is adjusted until VOUT is 0 V. The value of the current is then obtained by dividing the measured value of the power supply voltage by the resistance R1. In this way the burden voltage is removed and the load resistor can be increased so that the power supply voltage can be greater than 50 mV. This will give more accuracy in the measurements. Because VOUT is zero, the leakage current going into the hand-held voltmeter is zero and the finite input impedance (10 MΩ) of the meter does not affect the measurement. Even when VOUT is not exactly zero, the leakage current is still small. For example, for VOUT < 5 mV, the leakage current will be less than 500 pA. This gives measurement accuracy of 1% or better for input currents greater than 50 nA. Since the resistor R1 in this modified circuit is not developing a burden voltage, the resistor value is decoupled from the input current and can be any practical value depending only on the maximum voltage of the power supply. Figure 2b shows the circuit for a transimpedance amplifier. This is perhaps the most versatile of the current measurement circuits in that it can cover a large current measurement range using a simple circuit. In this circuit, the output from the current source is connected to the negative input of the operational amplifier while the positive input of the amplifier is connected to a reference voltage. This reference voltage is typically the circuit ground when there are bipolar power supplies and some intermediate voltage when there is a single power supply. The inputs of an operational amplifier have very high input impedances (greater than 1 GΩ) so that little current goes into the amplifier. Thus, the input current drives the negative input toward one of the power supply voltages depending on the polarity of the input current. This causes a voltage difference between the amplifier inputs which is then amplified with the large internal open loop gain of the amplifier. As a result, the amplifier output voltage moves in a direction to provide current through resistor R2 which is opposite to the input current. Equilibrium is achieved when the amplifier output voltage is such that the current through R2 is equal in magnitude to the input current. With an ideal amplifier and no offset voltage, this results in 0 V at the negative terminal matching the voltage at the positive terminal. Only the value of resistance R2 and the amplifier output voltage are needed to determine the input current. Since we know the resistance value and can measure the output voltage, we can calculate the current through R2 which will equal the magnitude of the input current. Since there is no burden voltage, the input current is not affected by the value of the feedback resistor R2 or the magnitude of the output voltage. The output voltage is constrained by the power supply voltages, but in principle there is no constraint on the value of the feedback resistor. Table 2 shows R2 resistor values for several nominal input currents for an output voltage (VOUT) of 1 V.
As seen in Table 2, the resistor values get quite large for small currents. These large value resistors are expensive and are often also physically large. Also, circuit constraints like stray capacitance can have an appreciable effect on the circuit when the resistor value is large. 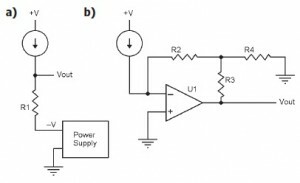 There are two ways to reduce the resistor value required for a particular input current. One way is to allow smaller voltages than 1 V to represent the input current. This is acceptable as long as all anomalous voltages in the circuit due to circuit imperfections are calibrated out. This calibration can be either physical using potentiometers to cancel offset voltages. Alternatively, data calibration can be used by measuring the output voltage without the input current and then subtracting that data from the output voltage with the input current. Thus, as the input current (and corresponding output voltage) are reduced, the measurement voltage will still have sufficient accuracy. The second way to measure lower values of current with a lower resistor value is to use the modified transimpedance amplifier shown in Figure 3b. Here, the output voltage is reduced by the voltage divider consisting of R3 and R4 before driving the feedback resistor R2. If the feedback resistor here is the same as the feedback resistor without the divider, the current flowing to the negative input terminal will be less than before. The internal gain in the amplifier will make the output voltage larger to compensate. For a voltage division of 10, the input current is 10 times lower for the same output voltage as before. One caution: although this circuit does give flexibility in the design, care is needed because there is an amplifier voltage gain equal to the divider ratio. The internal offset voltage and noise voltage of the amplifier are multiplied by this amplifier gain along with the current signal. The complete article appears in Circuit Cellar 294 (January 2015). 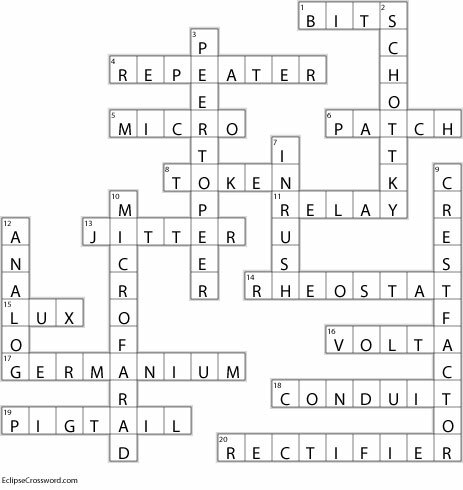 The Circuit Cellar staff thought it would be interesting to kick off 2015 by asking several long-time contributors about the future of electrical engineering and embedded systems. Here we present the responses we received to the following questions: What are your thoughts on the future of electrical engineering? What excites you? Is there something in your particular field of interest that you think will be a “game changer”? These responses appear in Circuit Cellar 294 (January 2015). B&K Precision recently announced the 9200 Series, which is its newest multi-range programmable DC power supply line. The series includes four 200- to 600-W models that can deliver power in any combination of the rated voltage and current up to the maximum output power of the supply. With voltage and current ranges up to 150 V and 25 A, the programmable DC power supplies are well suited for electronics manufacturing, R&D, and more. Multi-range power supplies provide greater flexibility than traditional power supplies. The supplies can provide any combination of higher voltage or higher current along a maximum power curve. This design helps save both bench space and cost by eliminating the need for having multiple power supplies on your workbench. On the front panel, the 9200 Series features a high-resolution, 1 mV/0.1 mA display, output on/off control, and a handy user interface with numerical keypad, cursor keys, and rotary control knob for adjusting voltage and current settings. The power supplies also provide internal memory storage to save and recall up to 72 different instrument settings. For programming and remote control, the 9200 Series offers list mode programming, remote sense, and standard USBTMC-compliant USB, RS-232, and GPIB interfaces supporting SCPI commands. Remote control software is provided for front panel emulation, execution of internal and external program sequences, and logging measurements via a PC. The application software can also be integrated with National Instrumnets’s Data Dashboard for LabVIEW app (available for Android and iOS), allowing users to create custom dashboards on smartphones and tablets for additional monitoring functions. 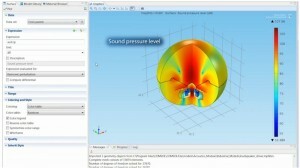 COMSOL provides simulation software for product design and research to technical enterprises, research labs, and universities throughout the world. Its flagship product, COMSOL Multiphysics, is a software environment for modeling and simulating any physics-based system and for building applications. A particular strength is its ability to account for coupled or multiphysics phenomena. Add-on products expand the simulation platform for electrical, mechanical, fluid flow, and chemical applications. Interfacing tools enable the integration of COMSOL Multiphysics simulation with all major technical computing and CAD tools on the CAE market. 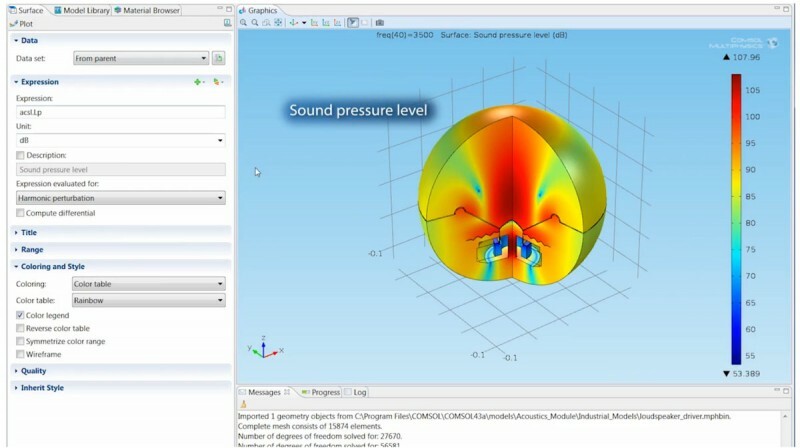 COMSOL’s Acoustics Module is designed specifically for those who work with devices that produce, measure, and utilize acoustic waves. Application areas include speakers, microphones, hearing aids, and sonar devices, to name a few. Noise control can be addressed in muffler design, sound barriers, and building acoustic applications. Straightforward user interfaces provide tools for modeling acoustic pressure wave propagation in air, water, and other fluids. Dedicated modeling tools for thermoacoustics enable highly accurate simulation of miniaturized speakers and microphones in handheld devices. Its also possible to model vibrations and elastic waves in solids, piezoelectric materials, and poroelastic structures. Multiphysics interfaces for acoustic-solid, acoustic-shell, and piezo-acoustics brings acoustic simulations to a new level of predictive power. By using COMSOL’s realistic simulations in 1D, 2D, or 3D, its possible to optimize existing products and design new products more quickly. Simulations also help designers, researchers, and engineers gain insight into problems that are difficult to handle experimentally. By testing a design before manufacturing it, companies save both time and money. November 2014 marked the release of the revolutionary Application Builder, now available with COMSOL Multiphysics software version 5.0. The Application Builder, which allows COMSOL software users to build an intuitive interface to run any COMSOL model, has been very well received by the engineering community. COMSOL Multiphysics users are already building applications and exploring the benefits of sharing their models with colleagues and customers worldwide. The Application Builder empowers the design process by allowing engineers to make available an easy-to-use application based on their COMSOL Multiphysics model. Included with the Windows operating system version of COMSOL Multiphysics 5.0, the Application Builder provides all the tools needed to build and run simulation apps. Any COMSOL Multiphysics model can be turned into an application with its own interface using the tools provided with the Application Builder desktop environment. Using the Form Editor, the user interface layout can be designed, while the Methods Editor is used for implementing customized commands. Based on the project at hand, engineering experts can now easily build a specialized application to share with their colleagues and customers that includes only the parameters relevant to the design of a specific device or product. COMSOL Multiphysics 5.0 also brings three new add-on products to the extensive COMSOL product suite: the Ray Optics Module, the Design Module, and LiveLink for Revit. For engineers working in application areas including building science, solar energy, and interferometers, the Ray Optics Module is an industry-leading simulation tool for analyzing systems in which the electromagnetic wavelength is much smaller than the smallest geometric detail in the model. Key features of the module include the ability to compute the trajectory of rays in graded and ungraded media, and the modeling of polychromatic, unpolarized and partially coherent light. The Design Module expands the available toolset of CAD functionalities in the COMSOL product suite. The module includes the following 3D CAD operations: loft, fillet, chamfer, midsurface, and thicken, in addition to CAD import and geometry repair functionality. Additionally, COMSOL is proud to offer LiveLink for Revit, which allows COMSOL users to interface with the building information modeling software from Autodesk. With LiveLink for Revit, users can seamlessly synchronize a geometry between LiveLink for Revit Architecture and COMSOL, allowing multiphysics simulations to be brought into the architectural design workflow. Version 5.0 also introduces numerous enhancements to the existing functionalities of COMSOL Multiphysics. New features and updates have been added to the entire product suite, which includes over 25 application-specific modules for simulating any physics in the electrical, mechanical, fluid, and chemical disciplines. COMSOL also announced the release of COMSOL Server, a new product developed specifically for running applications built with the Application Builder. Released earlier this year, the Application Builder allows COMSOL Multiphysics software users to build an intuitive interface around their COMSOL model that can be run by anyone—even those without prior simulation experience. COMSOL Server enables the distribution of applications, allowing design teams, production departments and others to share applications throughout an organization using a Windows-native client or web browser. Texas Instruments has announced the WiLink 8 combo connectivity modules to support Wi-Fi in the 2.4- and 5-GHz bands. The new highly integrated module family offers high throughput and extended industrial temperature range with integrated Wi-Fi and Bluetooth. The modules complement TI’s PurePath Wireless audio ICs and TI’s SimpleLink Wireless Network Processors. WiLink 8 modules are well-suited for power-optimized designs for home and building automation, smart energy applications, wearables, and a variety of other IoT applications. 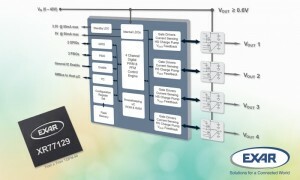 The WiLink 8 modules and software are compatible and preintegrated with many processors, including TI’s Sitara processors. The WiLink8 family offers 2.4 and 5 GHz versions that are pin-to-pin compatible. With integrated Wi-Fi and Bluetooth, the WiLink 8 modules could be used for a variety of applications. The WiLink 8 modules complement several TI platforms to deliver system solutions for manufacturers including WiLink 8 module-based evaluation boards (2.4 GHz-WL1835MODCOM8 and 5 GHz -WL1837MODCOM8) that are compatible with the AM335x EVM and AM437x EVM. 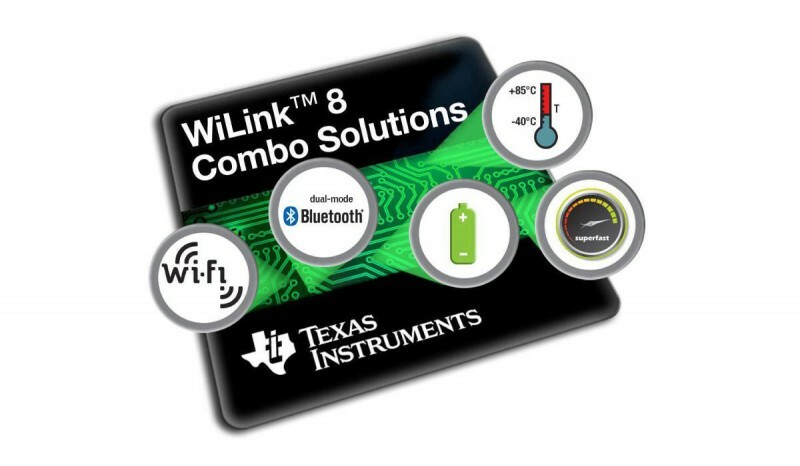 Additionally, the WiLink 8 modules, which offer Bluetooth and Bluetooth low energy dual-mode technology, are compatible with TI’s Bluetooth portfolio that allows developers to create a complete end-to-end application. WiLink 8 evaluation boards (WL1835MODCOM8 and WL1837MODCOM8) are currently available. WiLink 8 modules production units will be available in Q1 2015 through TI authorized distributors starting at $9.99 in 1,000-unit volumes. CML Microcircuits recently released a PMR common platform processor to support digital/analog FDMA PMR/LMR and two-slot TDMA digital systems. As engineers have moved two-way radio from analog to digital, a variety of digital FDMA and TDMA PMR/LMR systems have emerged along with the on-going requirement for a radio platform to support legacy analog. Each system potentially has different requirements and specs down to the radio architecture level. The CMX7241/7341 PMR Common Platform Processor addresses the issue. 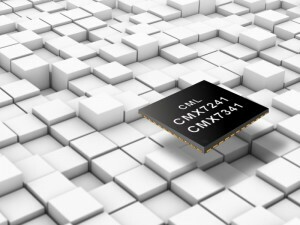 The CMX7241/7341 provides a common platform that can deliver FDMA digital PMR/LMR, TDMA digital PMR/LMR and legacy analog. Based on CML’s FirmASIC component technology, a Function Image (FI) can be uploaded into the device to determine the CMX7241/7341’s overall functions and operating characteristics. The first Function Image focuses on digital and analog FDMA PMR/LMR. It provides a comprehensive feature set including auxiliary functions to support the whole radio. 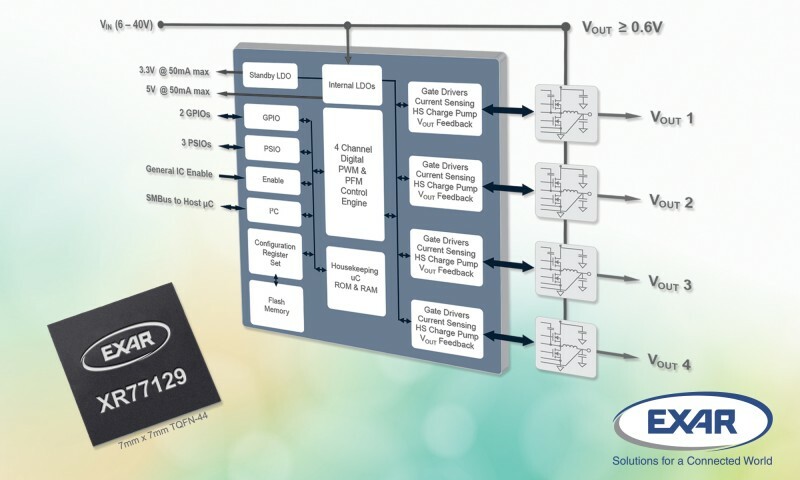 When combined with CML’s CMX994 Direct Conversion Receiver IC, it presents a flexible, high-performance radio platform solution. Exar Corp. recently announced the XR77129, a quad output programmable universal PMIC with an input operating voltage range of 6 to 40 V. Its patented control architecture is well suited for 40-V inputs using a 17-bit wide PID voltage mode VIN feed forward architecture. This controller offers a single input, quad output, step-down switching regulator controller with integrated gate drivers and dual LDO outputs. It can also monitor and dynamically control and configure the power system through an I2C interface. Five configurable GPIOs allow for fast system integration for fault reporting and status or for sequencing control. The XR77129 can be configured to power nearly any FPGA, SoC, or DSP system with the use of Exar’s PowerArchitect and programmed through an I²C-based SMBus compliant serial interface. PowerArchitect 5.2 has been upgraded to support the additional capabilities of the XR77129 including output voltage ranges beyond the native 0.6 to 5.5 V with the use of external feedback resistors. The XR77129 wide input voltage range, low quiescent current of 450 µA (standby) and 4 mA (operating) make it a logical choice for a wide range of systems, including 18 to 36 VDC, 24 VDC or rectified AC systems used in the industrial automation and embedded applications. The XR77129 is available now in an RoHS-compliant, green/halogen-free, space-saving 7 mm × 7 mm TQFN. It costs $9.95 in 1,000-piece quantities..
CCS C-Aware IDE now includes the EZ App Lynx library (#include <EZApp.c>). Quickly create a Bluetooth wireless sensor, or controller, that may be viewed or managed on a paired mobile device using the EZ App Lynx Android app. The free EZ App Lynx Library was created to shorten the design time for smart Bluetooth app development. With EZ App Lynx, and no required hardware or software expertise, the library removes the barriers to entry for smartphone app developers who want to take advantage of a growing number of Bluetooth enabled smartphones and tablets. The new library allows for any GUI, on the App, to be created at run time from a PIC program. The library offers many useful sensor interface components, which allow for: Status Bars, Gas Gauges, Sliders, Buttons, Text Fields, and more. Hummingbird platform is a low-cost complete wide-band transceiver with microcontroller module. The HumPRO Ssries wireless UART module is a completely integrated RF transceiver and processor designed to transmit digital data across a wireless link. It has a built-in frequency hopping over-the-air protocol that manages all of the transmission and reception functions. It takes data in on its UART and supplies the data out of a UART on the remote module. The HumPRO series modules have three addressing modes that support point-to-point and broadcast messages with 16- or 32-bit addresses. With no internal address or routing tables, the module does not limit the number of directly addressed or broadcast receivers within the operating range of the transmitter. Routing can be performed by an external microcontroller that is sized for memory and speed appropriate for the desired network size. Low Cost: It uses advanced system on chip (SoC) technology to minimize the footprint and the number of components. The module is designed for high volume production, leading to a price that is nearly half that of similar modules, and making it cost competitive with discrete designs. Robust: Built-in error detection and retransmission options create extremely robust point-to-point links for bi-directional data transmissions. Frequency Hopping: The module has a FHSS protocol that typically locks in under 30 ms at 115 kbps and 60 ms at 9.6 kbps. This allows it to quickly wake up, send data and go back to sleep, saving power in battery-operated applications that have strict power budgets. It handles all protocol functions automatically. Ease of Implementation: The user can configure a wide variety of settings through a standard UART interface. For point-point applications, the modules can be configured once, then send and receive data without need for further commands. For larger networks, commands support selective addressing and group broadcasting. The simple interface significantly reduces firmware development. Addressing: All HumPRO modules have a unique 32-bit serial number that can be used as an address. Additional addressing modes support customer-assigned 16 or 32-bit source and destination addressing, enabling point-to-point and broadcast messages. Address masking by the receiving module allows for creating subnets. Advanced networks can be implemented with an external microcontroller. Small Size: Like its namesake, Hummingbird modules are tiny. At 11.5 mm × 14 mm, it is less than one quarter the size of similar competitive modules. Low Power: Linx designed the Hummingbird platform for battery powered applications. It operates as low as 2.0 V and has low transmit current of 40 mA, receive current of 25mA and standby current under 1 μA. Ample Range: The HumPROTM outputs up to 10 dBm, resulting in a line-of-sight range of up to 1,600 m (1.0 mile), depending on the antenna implementation. External Amplifiers: The module has control lines that allow it to work with an external PA and LNA for applications that need more system range. Certification: The HumPRO Series is available in a non-certified version and in pre-certified versions with an RF connector or castellation connection. 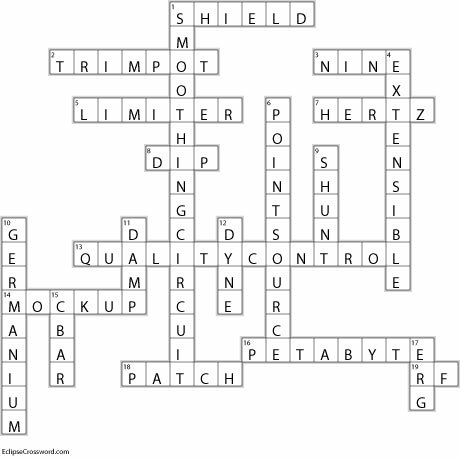 The answers to Circuit Cellar’s January 2015 electronics engineering crossword puzzle are now available. 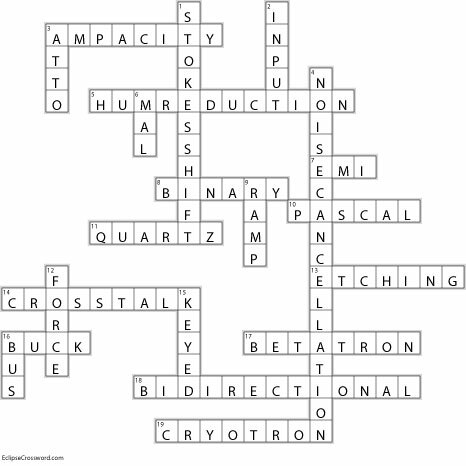 NINE—A nonet is a grouping of what? 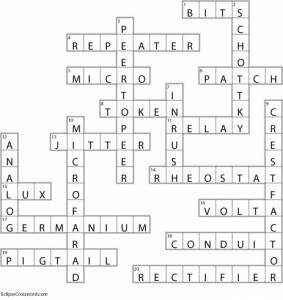 The answers to Circuit Cellar’s November electronics engineering crossword puzzle are now available. Problem 1—Let’s get back to basics and talk about the operation of a capacitor. Suppose you have two large, flat plates that are close to each other (with respect to their diameter). If you charge them up to a given voltage, and then physically move the plates away from each other, what happens to the voltage? What happens to the strength of the electric field between them? Answer 1—The capacitance of the plates drops with increasing distance, so the voltage between them rises, because the charge doesn’t change and the voltage is equal to the charge divided by the capacitance. At first, while the plate spacing is still small relative to their diameter, The capacitance is proportional to the inverse of the spacing, so the voltage rises linearly with the spacing. However, as the spacing becomes larger, the capacitance drops more slowly and the voltage rises at a lower rate as well. While the plate spacing is small, the electric field is almost entirely directly between the two plates, with only minor “fringing” effects at the edges. Since the voltage rise is proportional to the distance in this regime, the electric field (e.g., in volts per meter) remains essentially constant. However, once the plate spacing becomes comparable to the diameter of the plates, and fringing effects begin to dominate, the field begins to spread out and weaken. Ultimately, at very large distances, at which the plates themselves can be considered points, the voltage is essentially constant, and the field strength directly between them becomes proportional to the inverse of the distance. Problem 2—If you double the spacing between the plates of a charged capapcitor, the capacitance is cut in half, and the voltage is doubled. However, the energy stored in the capacitor is defined to be E = 0.5 C V2. This means that at the wider spacing, the capacitor has twice the energy that it had to start with. Where did the extra energy come from? Answer 2—There is an attractive force between the plates of a capacitor created by the electric field. Physically moving the plates apart requires doing work against this force, and this work becomes the additional potential energy that is stored in the capacitor. Question 3—What happens when a dielectric is placed in an electric field? Why does the capacitance of pair of plates increase when the space betwenn them is filled with a dielectric? Answer 3—Dielectric materials are made of atoms, and the atoms contain both positive and negative charges. Although neither the positive nor the negative charges are free to move about in the material (which is what makes it an insulator), they can be shifted to varying degress with respect to each other. An electric field causes this shift, and the shift in turn creates an opposing field that partially cancels the original field. Part of the field’s energy is absorbed by the dielectric. In a capacitor, the energy absorbed by the dielectric reduces the field between the plates, and therefore reduces the voltage that is created by a given amount of charge. Since capacitance is defined to be the charge divided by the voltage, this means that the capacitance is higher with the dielectric than without it. Problem 4—What is the piezoelectric effect? Answer 4—With certain dielectrics, most notably quartz and certain ceramics, the displacement of charge also causes a significant mechanical strain (physical movement) of the crystal lattice. This effect works two ways — a physical strain also causes a shift in electric charges, creating an electric field. This effect can be exploited in a number of ways, including transducers for vibration and sound (microphones and speakers), as well as devices that have a strong mechanical resonance (e.g., crystals) that can be used to create oscillators and filters. Problem 1—Let’s talk about noise! There are different types of noise that might be present in a system, and it’s important to understand how to deal with them. For example, analog sensors and other types of active devices will often have AWGN, or Additive White Gaussian Noise, at their outputs. Any sort of analog-to-digital converter will add quantization noise to the data. What is the key difference between these two types of noise? Answer 1—The key difference between AWGN and quantization noise is the PDF, or Probability Density Function, which is a description of how the values (voltage or current levels in analog systems, or data values in digital systems) are distributed. µ represents the mean value, which we take to be zero in discussions about noise. σ is known as the “standard deviation” of the distribution, and is a way to characterize the “width” of the distribution. While the curve is nonzero everywhere (from –∞ to +∞) it is important to note that the values will be within ±1 σ of the mean 68% of the time, within ±2 σ of the mean 95% of the time, and within ±3 σ of the mean 99.7% of the time. In other words, although the peak-to-peak value of this kind of noise is theoretically infinite, you can treat it as being less than 4σ 95% of the time. On the other hand, the values from quantization noise have a uniform distribution — the values are equally probable, but only over a fixed span that’s equal to the quantization step size of the converter. The peak-to-peak range of this noise is equal to the converter’s step size (resolution). However, it’s important to note that both sources of noise are “white”, which is a shorthand way of saying that their effects are uniformly distributed across the frequency spectrum. Problem 2—Signal-to-noise ratios are most usefully described as power ratios. 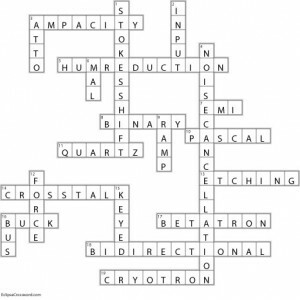 How does one characterize the power levels for both AWGN and quantization noise? Answer 2—The power of a noise signal is proportional to the square of its RMS value. The RMS value of AWGN is numerically equal to its standard deviation. The RMS value of quantization noise is simply the peak-to-peak value (the step size of the converter) divided by √12, or VRMS = 0.2887 VPP. This is easily derived if you characterize the quantization noise signal as a small sawtooth wave that gets added to the analog signal. Question 3—When you have multiple sources of noise in a system, how can you characterize their combined effect on the overall system performance? Answer 3—When combining noise sources, you can’t simply add their RMS voltage or current values together. From one sample to the next, one noise source might partially cancel the effects of the other noise source(s). Instead, you add the individual noise power levels to come up with an overall noise power level. Since power is proportional to voltage (or current) squared, this means that you need to square the individual RMS measurements, add them together, and then take the square root of the result in order to get an equivalent overall RMS value. Problem 4—Broadband analog sensors and other active devices often specify their noise levels in units of “microvolts per root-Hertz” (µV/√Hz) or “nanoamps per root-Hertz” (nA/√Hz). Where does this strange unit come from, and how do you use it? Answer 4—As described in the previous answer, uncorrelated noise sources are added based on their power. With AWGN, the noise in one “segment” of the frequency spectrum is not correlated with another segment of the spectrum, so if you have a particular voltage level of noise in, say, a 1-Hz band of frequencies, you’ll have √2 times as much noise in a 2-Hz band of frequencies. In general, the RMS noise level for any particular bandwidth is going to be proportional to the square root of that bandwidth, which is why the devices are characterized that way. So, if you have an opamp that’s characterized as having a noise level of 2 µV/√Hz, and you want to use this in an audio application with a bandwidth of 20 kHz, the overall noise at the output of the opamp will be 2 µV × √20000, or about 283 µVRMS. If your signal is a sinewave with a peak-to-peak value of 1V (353 mVRMS), you’ll have a signal-to-noise ratio of about 124 dB. 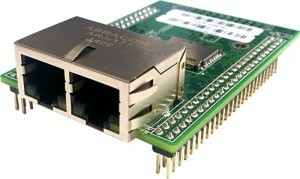 The NetBurner MOD54417 network core module provides 10/100 Ethernet connectivity with two Ethernet ports. The ports can operate independently, each with its own MAC address, or as an Ethernet switch, simplifying network infrastructure (i.e., daisy chaining) by enabling Ethernet devices to connect through it. The module is industrial temperature rated (–40 to +85°C) and also provides: 8 UARTs, 4 I2C, 2 CAN, 3 SPI, 1-Wire, a MicroSD flash card socket, 42 digital I/O, eight 12-bit analog-to-digital inputs, two 12-bit digital-to-analog outputs, and five PWM outputs. Wireless 802.11 b/g/n communication is available with the optional Wi-Fi add-on. 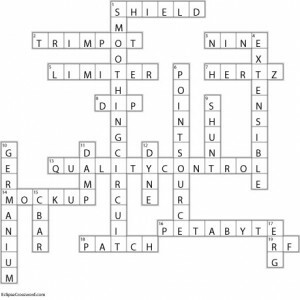 The NetBurner Network Development Kit (NNDK) provides a complete software and tools package including the Real-Time Operating System, full featured TCP/IP Stack, Web Server, DHCP Server, Eclipse development environment, C/C++ compiler and debugger. The NNDK is focused on ease of use and you will have your first custom program running within a few hours of receiving the kit. The price of the MOD54417 ranges $94 to $129.